Spice up your Life and Brain Health too ! If you are like me, enjoy learning. Especially about health benefits of simple spices and foods. Here’s a spice that is worth keeping AND using in your kitchen ! If you want a future that is free of Parkinson’s disease, the smart choice for dinner tonight may be curried vegetables. Why? 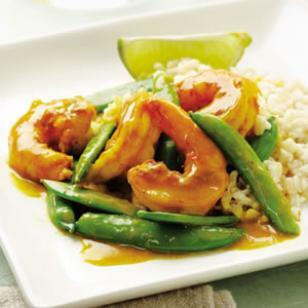 Because curry spice — a staple of Thai and Indian dishes — is rich in turmeric. And in a recent lab study, turmeric appeared to help protect the brain against Parkinson’s damage. Parkinson’s disease affects about 1 million people in theUnited States, and researchers are actively seeking a cure. The disease works slowly over time, destroying the brain neurons that make dopamine. And that can have wide-ranging effects because muscles need dopamine to function smoothly. When they don’t get it, everything from walking to talking to breathing becomes difficult. Enter curcumin. In a lab study, curcumin helped protect dopamine-producing brain cells by clamping down on a mutant Parkinson’s protein that tends to do in those cells. Generally, what’s harmful to your heart is also harmful to your brain. Make no mistake about it — while fried potato skins are busting your buttons, there’s also a portion that gets shuttled up through your arteries to your gray matter. Saturated fats, for example, clog arteries that lead to your brain, putting you at risk of stroke, while omega-3 fatty acids — the good fats found in fish — are helpful for your brain, because they help keep your arteries clear. They also alter your neurotransmitters and reduce depression. 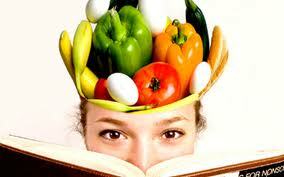 Of course here are some Yum recipes for you to enjoy these Brain Health foods. Heat oil in a wok or large skillet over medium heat. Add curry powder and cook, stirring, until fragrant, 1 to 2 minutes. Add shrimp and peas and cook, stirring, until the shrimp are almost cooked through, about 4 minutes. Stir in coconut milk, lemon juice and salt. Bring to a boil then cook until the shrimp have cooked through, for about 2 minutes more. Another Favorite of mine ….. Combine yogurt, mayonnaise and curry powder in a large bowl. Add chicken, pear, celery, cranberries and almonds; toss to combine. 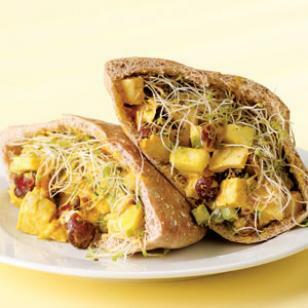 Fill each pita half with 1/2 cup chicken salad and 1/4 cup sprouts. Make Ahead Tip: Cover and refrigerate the salad (Step 1) for up to 2 days. Tip: If you don’t have cooked chicken, poach about 12 ounces chicken breast for this recipe. Place boneless, skinless chicken breast in a medium skillet or saucepan. Add lightly salted water (or chicken broth) to cover and bring to a boil. Cover, reduce heat to low and simmer gently until the chicken is cooked through and no longer pink in the middle, 10 to 15 minutes. To toast sliced or slivered almonds: Place in a small dry skillet and cook over medium-low heat, stirring constantly, until fragrant and lightly browned, 2 to 4 minutes. Folks, it is possible to be up to 200 percent more productive if you make the right eating choices. Stock up on these items to halt mental decline, jog your memory, sharpen your senses, improve your performance, activate your feel-good hormones, and protect your quick-witted sharpness, whether you’re 15, 40—or not admitting to any age whatsoever! Fresh-brewed joe is the ultimate brain fuel. Caffeine has been shown to retard the aging process and enhance short-term memory performance. In one study, British researchers found that just one cup of coffee helps improve attention and problem-solving skills. Ever heard of the concept “too much of a good thing”? If you OD on caffeine—too many cups, a jolt of caf from the late afternoon onward, a Red Bull cocktail—it can mess with your shuteye schedule. Sleep is reboot time for your mental computer, and you don’t want to mess with it. Antioxidants in blueberries help protect the brain from free-radical damage and cut your risk of Alzheimer’s and Parkinson’s diseases. They can also improve cognitive processing (translation: thinking). Wild blueberries, if you can find them, have even more brain-boosting antioxidants than the cultivated variety, so book that vacation in Maine now. The berries will ripen in July. Here’s a cool tip: if your favorite berries are out of season, buy them frozen. The freezer locks in peak flavor and nutrients, so the berries’ antioxidant capacity is maxed out. Those pale, tough, and expensive off-season berries usually ripen on a truck, rather than on the bush, so they’re nutritional imposters compared to the real thing. If the Internal Revenue Service picks you for some up-close-and-personal auditing, you’ll want to be on your toes when they vet your deductions list. So put salmon or mackerel on the grocery list. The omega-3 fatty acids found in fatty fishes are a primary building block of brain tissue, so they’ll amp up your thinking power. Salmon is also rich in niacin, which can help ward off Alzheimer’s disease and slow the rate of cognitive decline. Not all fats are created equal: Beware foods high in saturated fats, which can clog blood vessels and prevent the flow of nutrients and blood to the brain. Ice cream is not a brain-health food. The oil in the dressing will help slow down digestion of protein and carbs in the salad, stabilizing blood-sugar levels and keeping energy levels high. Build your salad on a bed of romaine and spinach for an added boost in riboflavin, and add chicken and a hard-boiled egg for more energizing protein. MIT researchers analyzed blood samples from a group of people who had eaten either a high-protein or a high-carbohydrate breakfast. Two hours after eating, the carb eaters had tryptophan levels four times higher than those of the people who had eaten protein. The tryptophan in turkey is one of the reasons you crawl off for an afternoon nap after Thanksgiving dinner. So watch what you gobble. Scientists in Slovakia gave people 3 grams each of two amino acids—lysine and arginine—or a placebo, and asked them to deliver a speech. Blood measurements of stress hormones revealed that the amino acid-fortified guys were half as anxious during and after the speech as those who took the placebo. Yogurt is one of the best food sources of lysine; nuts pack loads of arginine. A study from the American Journal of Public Health found that people who drink 2½ cans of soda daily are three times more likely to be depressed and anxious, compared with those who drink fewer. So Mountain Dew is a Mental Don’t. The scent of peppermint helps you focus and boosts performance, according to researchers. Need to reach Chicago before nightfall, and you’re stuck in traffic around Cleveland? One study found that peppermint makes drivers more alert and less anxious. Sugary foods incite sudden surges of glucose that, in the long term, cause sugar highs and lows, leading to a fuzzy state of mind. Leafy greens—arugula, chard, spinach—are rich sources of B vitamins, which are key components on the assembly line that manufactures feel-good hormones such as serotonin, dopamine, and norepinephrine. According to a study published in the Journal of Neuroscience Nursing, a lack of B6 can cause nervousness, irritability, and even depression. White chocolate isn’t chocolate at all, since it contains no cocoa solids. So it won’t stimulate the euphoria-inducing mood boosters like serotonin, as real chocolate does. Grab the real thing, the darker the better. More cacao means more happy chemicals and less sugar, which will eventually pull you down. Flax is the best source of alphalinoleic, or ALA—a healthy fat that improves the workings of the cerebral cortex, the area of the brain that processes sensory information, including that of pleasure. To meet your quota, sprinkle it on salads or mix it into a smoothie or shake. This one’s obvious, but worth mentioning anyway. A drink or two can increase arousal signals, but more than that will actually depress your nervous system. This makes you sloppy, not sharp. 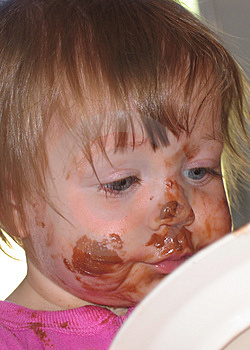 Dark Chocolate is Good for your Skin too ! Lose it in 30 Seconds … Really !! Here’s a Super Easy way to burn some unwanted F..A…T !!! Worth Of Calories In 33 Seconds A Day ! and do it in just 33 measly seconds a day! Repeat this 2 more times between meals but an hour before you eat. Can you believe it? That’s it… no kidding. If you think this is made up, check out the science… that’s right: It’s backed by hard, tested, 100% verifiable SCIENCE. Not myths or fantasies, but biological reality! 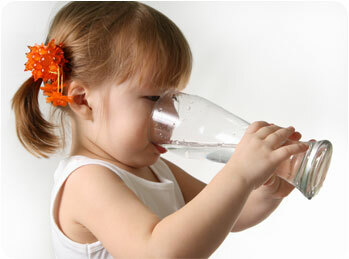 Ice water is roughly 0 degrees Celsius… and your body has to maintain a temperature of around 32 degrees Celsius. So, when you drink ice water on an empty stomach, your body is FORCED to increase it’s calorie-use… remember, calories are just units of HEAT and your body must heat up to solve the problem of “cold water” entering your system! About 60 ounces of ice water takes 72 calories of internal body heat just to normalize your body’s temperature… and this does not count the natural weight loss benefits of drinking water that’s documented in a thousand journals! “Big deal!” you may say… and YES… it IS a big deal. 72 calories a day = over 25,000 calories over a year… or in other words… more than 8 POUNDS OF BLUBBER! So enjoy some sparkling H2O while knowing you are helping hydrate AND burn that blubber ! Here’s to Living a Happy ~ Healthy Boundryless Life !! Enjoying H2O and burning Blubber Too !